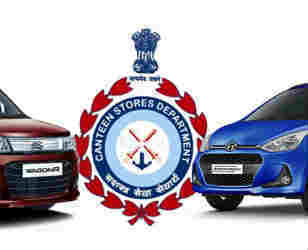 In yet another indicator of the severe crash crunch being faced by the over 14-lakh armed forces, the Canteen Stores Department (CSD) has issued a notification that military personnel will not be able to buy scooters or motorcycles and cars through it till the fiscal comes to an end on March 31. “Due to budgetary constraints at the CSD head office, the sale of four-wheelers and two-wheelers have been curtailed till March 31. Normalcy will be restored with effect from April 1,” said the CSD advisory. The CSD is the largest retail network in the country with 34 central deports that feed over 4,500 canteens, with a customer base of around 85 lakh. “CSD gets an allocation of about Rs 16,000 crore every year. But the problem is that from 2015 onwards, lakhs of civilians in defence establishments have been made eligible for CSD facilities. This has ruined the overall finances,” said an official. The MoD, on its part, said, “At times the funds allotted, based on envisaged expenditure, to a specific head falls short of the actual expenditure. The shortfalls are only temporary and are resolved routinely through reappropriations. Adequate funds are provided under all heads, including temporary and permanent duty heads.